Welcome to ChamnanMuon.com!. My name is Muon Chamnan (in Khmer: មួន ចំណាន). 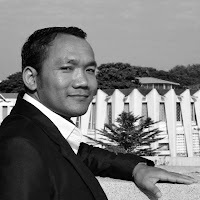 I am originally from the countryside in Battambang province, and presently I live and work as IT deputy manager, freelance digital marketing consultant and speaker for Google products in Phnom Penh, Cambodia. I am a simple man who likes blogging, social media management, digital marketing, business, startup, internet of things (IoT), ASEAN, infosec, content management system, mapping, and photography - A DIGITAL & Non-digital LOVER. The blog was created since 2011 for the purpose of sharing personal knowledge, experiences, and facts that I have been experienced which are related to Digital Marketing, Social Media, Business, Technology, Tips, Event, and Entertainment, especially related to Khmer language appearing in today technology. I hope that the blog will be a useful resource for your inquiries, and I would like to thank all readers who spend your valuable time reading my blog. Please feel free to contact me via this email gatesmart(at)gmail(dot)com or the contact form.